The first step in your journey is going through our Learn to Skate Program. You can find out more about it here. Once you have completed the program, and our coaches agree, you are ready to start our Development Hockey Program. An introductory hockey program designed for beginning players who are just becoming acquainted with the stick and puck. A learn-to-play program for all ages. 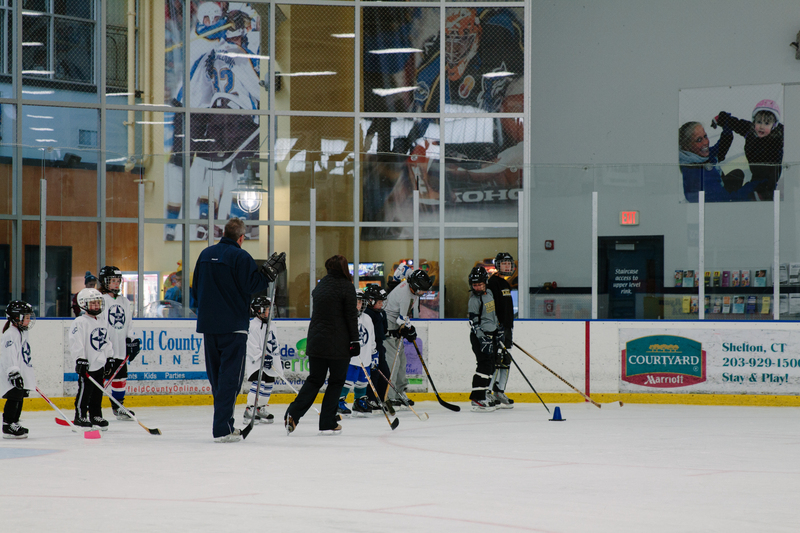 Instructors teach the basics of hockey, including stick handling, passing and shooting. Click here to see our Hockey Programs. Once you have successfully completed these programs, you are ready to move in to our Development League. You can learn more about the D-League here.